Stop painstakingly photo retouching! 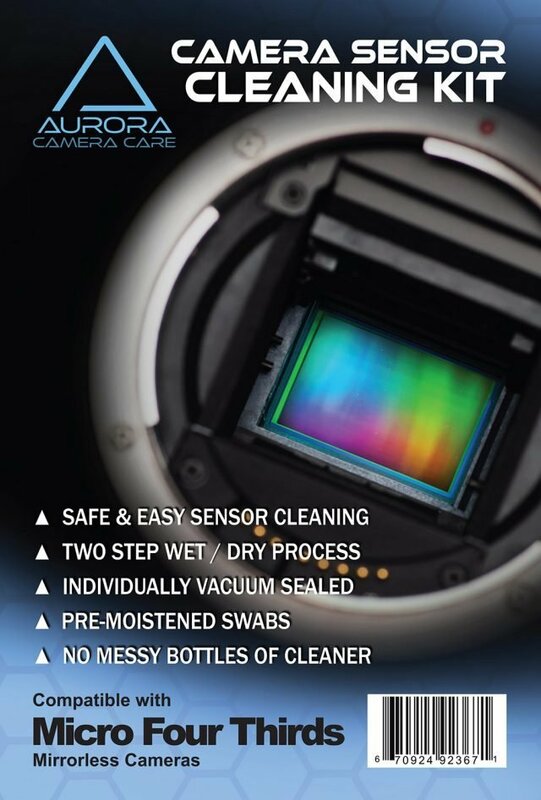 A clean camera sensor will give you sharper, more vibrant spot-free photos! 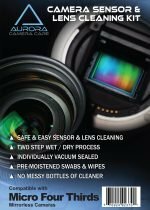 Aurora Camera Care Sensor Cleaning Kit is Quick, Easy and Safe! Includes 10 Ultra Soft Two-Ply Microfiber Cleaning Swab individually cleanroom vacuum sealed to be 100% dust and lint free. 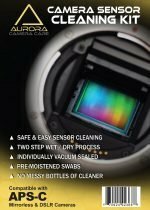 They come in 5 sets of (5) Premoistened Swabs with the exact amount of our specially formulated sensor safe cleaner and (5) Dry Swabs to around out our safe and easy two-step sensor cleaning process..